Mongolian rank-and-file wrestler Takanoiwa on Friday submitted his resignation to sumo's governing body for assaulting a younger wrestler in the latest scandal to tarnish the image of the sport. The Japan Sumo Association accepted the resignation from Takanoiwa, 28, who himself was a victim of an assault last year that led to the resignation of grand champion Harumafuji. Takanoiwa struck the lower-ranked wrestler of his Chiganoura stable at a hotel in the southwestern Japan prefecture of Fukuoka during the ongoing regional tour Tuesday night, according to the JSA. The younger wrestler did not suffer a major injury but has swelling on his face after being hit four or five times with an open hand and fist for having forgotten an item, the JSA said. At a press conference to announce his resignation, Takanoiwa said he was "truly sorry" for the incident. "By raising my hand to my younger stablemate, I have caused anguish. 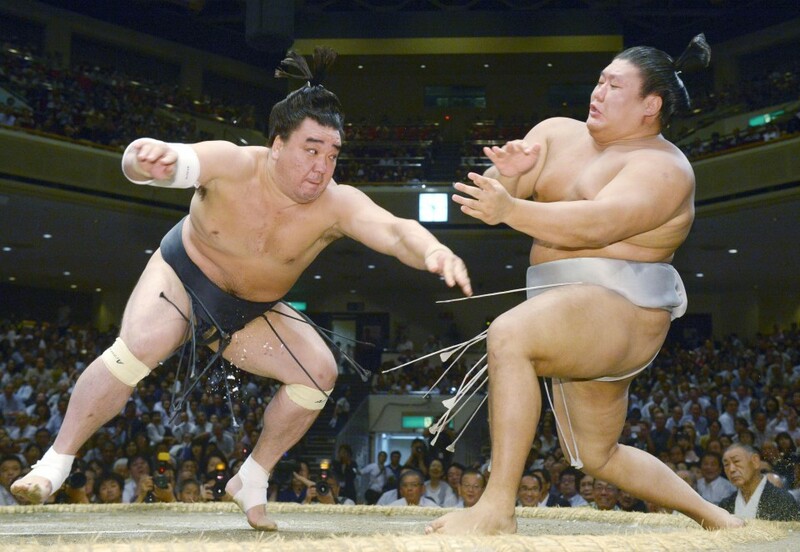 I will reflect on this and take responsibility by retiring from sumo as of today," Takanoiwa said. Takanoiwa withdrew from the winter regional tour in Fukuoka and was questioned by the JSA's head of crisis management following the assault. The incident is the latest in a spate of scandals that have dogged the sumo world. The JSA issued a "declaration to eradicate violence" at the end of October in response to several such cases. JSA director Shibatayama reiterated Friday that the association was continuing to address violence outside the ring. "The association has been working for a long time on a solution to the problem of violence," Shibatayama said. "It is important to respond promptly and to make sure it does not happen again." Takanoiwa, whose real name is Adiyagiin Baasandorj, was beaten with a karaoke machine remote control in a lounge bar by fellow Mongolian Harumafuji on Oct. 26 last year, which led to the grand champion's retirement the following month. He was hospitalized with head injuries that required 12 days to heal and forced to sit out two grand tournaments before returning to competition in March. The JSA decided after the incident not to demote Takanoiwa to the lower makushita division, considering he was the victim of the assault. The incident also prompted his former stablemaster Takanohana to quit the JSA, which led to Takanoiwa and his stablemates transferring to the Chiganoura stable in October this year. Takanoiwa made his sumo debut in January 2009 as a member of the stable of former grand champion Takanohana, and gained promotion to the top makuuchi division in 2014.